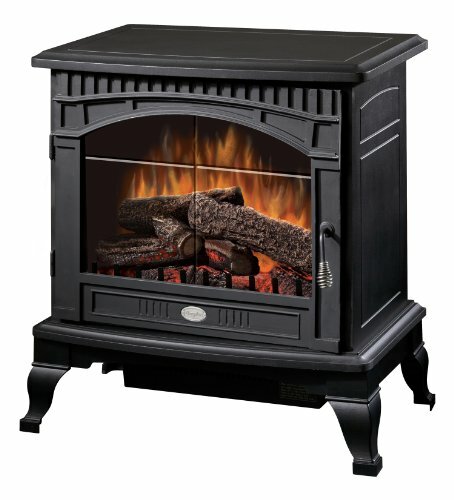 The Duraflame 550 Black Infrared Freestanding Electric Fireplace Stove is the easiest small stove for your home. It’s smaller in size, easily portable, creates a life-like flame effect and produces the correct quantity of heat for virtually any room. 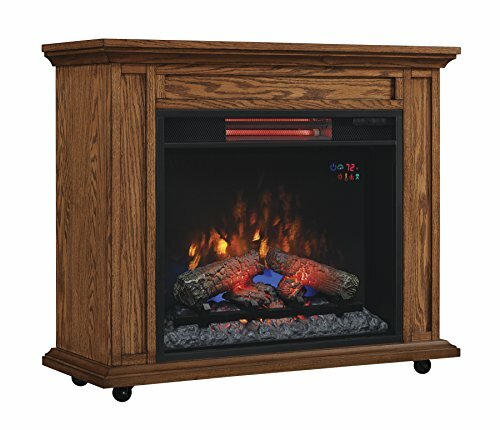 The classically styled heater creates the look of a wood burning stove, but without any of the hassles or inconveniences. 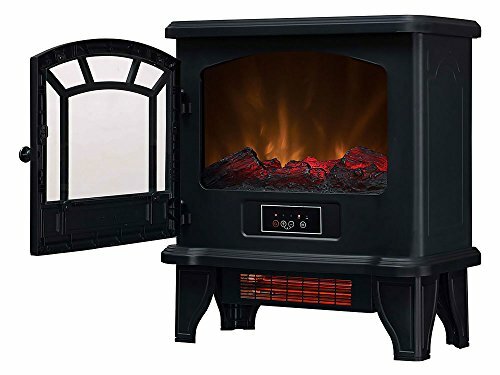 Producing a life-like, flickering flame effect, this stove will allow you to calm down the second one you plug it in and turn it on. 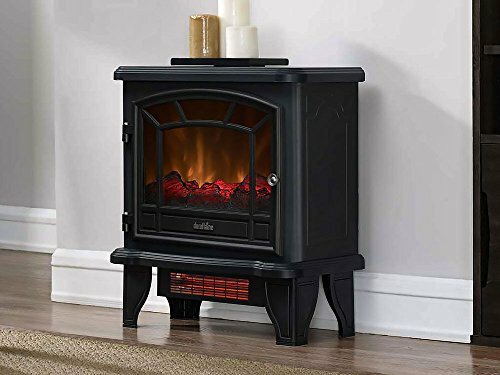 With a true-to-life sculpted log set and ember bed, this Duraflame stove covers every detail, ensuring you enjoy an authentic wood burning fire experience. Though small in size, this stove puts out moderately a bit of supplemental heat. 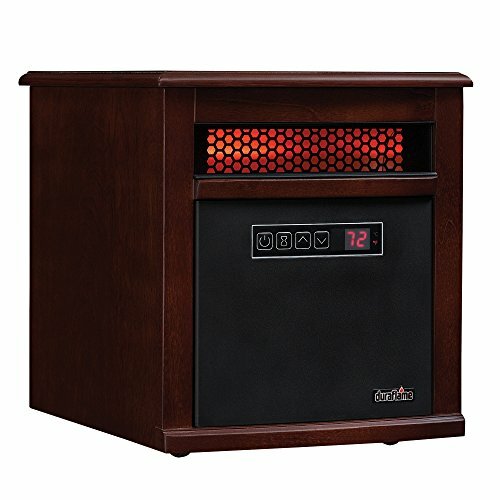 The powerful infrared heater easily warms rooms up to 1,000 Sq. Ft. – nearly double the amount of heat output in comparison to traditional fan-forced heaters. 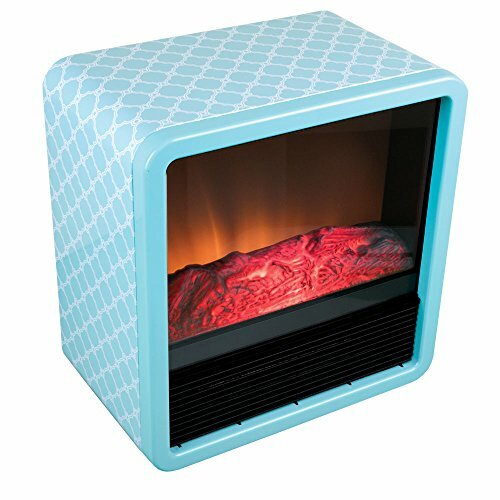 The heater and flame effects are independent of each other meaning you’ll enjoy the flames without heat all the way through the warmer months and then when it gets cooler, you’ll have the flames with heat. You literally can enjoy this charming little stove year round. 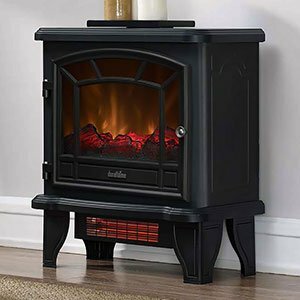 Create an inviting and comfortable environment by adding the Duraflame 550 Black Infrared Electric Fireplace Stove to your home.